Last month I had a chance to catch up with an old friend of mine, Ray Hallare. Ray and I met about 6 years ago through MassChallenge, a global startup accelerator that’s headquartered here in Boston. We bonded over our love of startups, and at one point, I even suggested we start a Filipino food cart here in town. While that never came to fruition, we both did end up starting ventures with ties back to the Philippines. Check out the interview below to learn more about the business that sprung out of his family’s factory in the Philippines, his favorite things around Boston, and of course Filipino food. I am one of the co-founders of Dowel Furniture. We sell custom designer-created furniture online. What inspired you to start Dowel Furniture? My family has been in the furniture manufacturing business my entire life and it's something that my sister, who's my business partner, and I grew up with. We felt that people have become more savvy about finding quality furniture online over the last couple of years and felt that this was a great opportunity. It was the right timing for us to build on top of our family's manufacturing expertise, and start a vertically integrated digital furniture brand. What's been your favorite, or one of your fave pieces of furniture that you've made? One of my favorite pieces we've done so far from our designer created collections is probably the Parisienne Chair. I think it's a great take on a classic chair profile and can easily fit in a lot of rooms either as a dining chair or as a standalone accent piece. How long did you live in Boston? I’ve been in NY for the last year, but I was in Boston for 10 years before I moved to NY. I also go back and forth to Manila every 3-4 months or so to check on production. What are your favorite Boston spots? Could be restaurants / parks / anything! What's your all-time favorite Filipino dish? It's probably a tie between kare kare with bagoong [a type of meat stew with shrimp paste] or lechon paksiw [a dish made with leftover roast pig]. I've always liked the day-after lechon made into paksiw better than day-of lechon. What's your favorite Filipino recipe / dish to make? It’s probably adobo [the unofficial national dish of the Philippines] because of value for time. It takes awhile to make but not because it's hard to make. It's super simple and tastes great. How can people stay in touch with you? 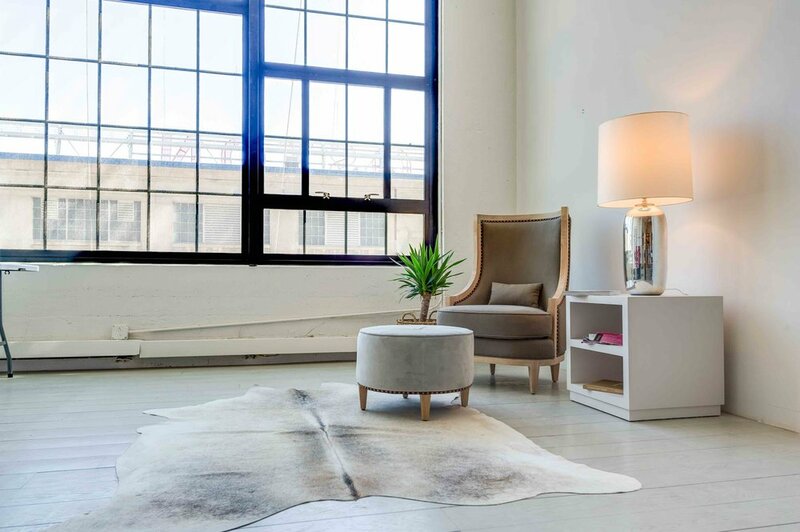 You can also check out their showroom in NYC or at the Eliza B Design Studio in Concord. Thanks for taking the time to chat, Ray!